Varathane's Interior Diamond Wood Finish (water base) offers a crystal clear finish that never yellows - resists water, alcohol, household chemicals. 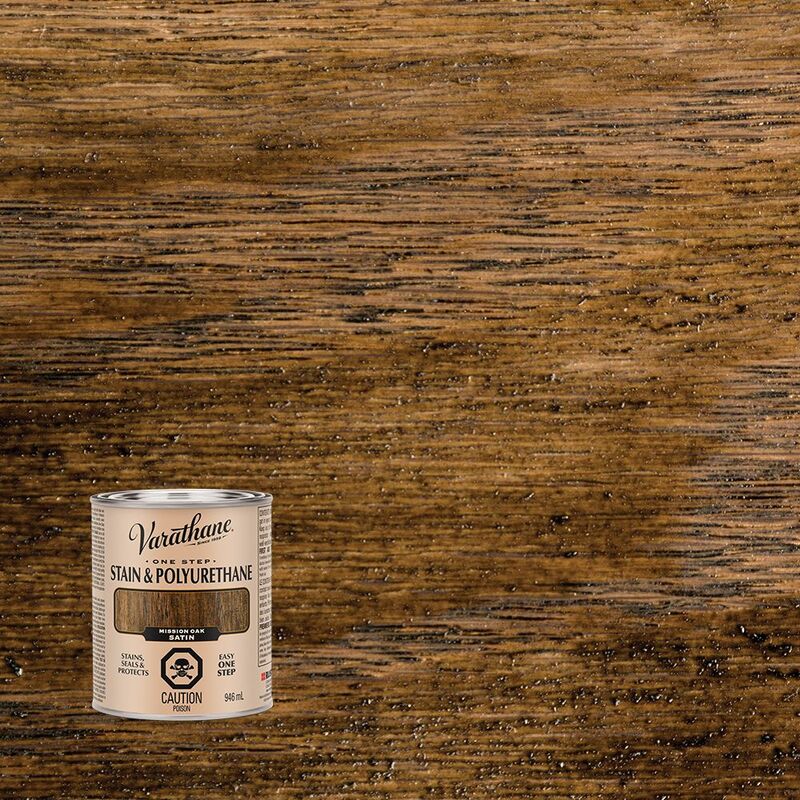 Varathane Stain & Polyurethane Satin Mission Oak 946ml In one easy step, you can now apply both stain and polyurethane to your wood project using Varathane One-Step Stain & Polyurethane. Premium pigments provide deep, rich colour while Varathane's renowned polyurethane adds a smooth, even protective finish without brush marks.